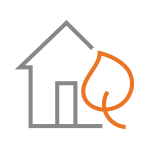 I Need Help with My Natural Gas Bill | Spire Inc.
We’re here to help when times are tough. If you’re ever in a situation where you’re struggling to pay your bill, we want to help. By giving us a call or enrolling in one of our assistance programs as soon as you think you may fall behind, we can work with you to avoid an unexpected service interruption­—and that’s always our goal. Here’s a look at some of the ways we can help.